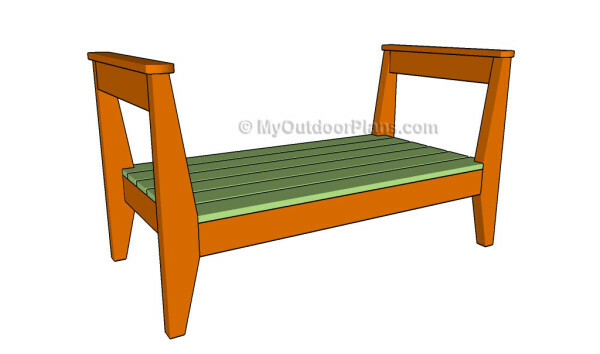 This step by step diy woodworking project is about bench plans. 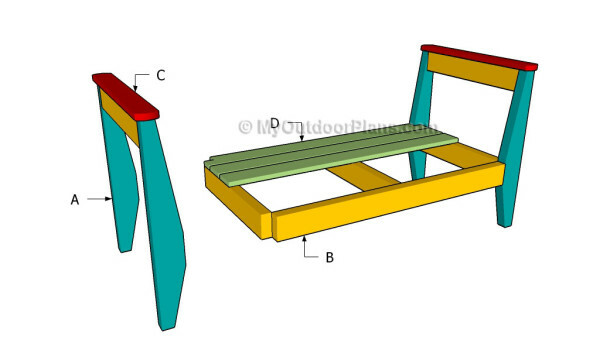 If you want to learn more about building an outdoor dining table, we recommend you to pay attention to the instructions described in the article. 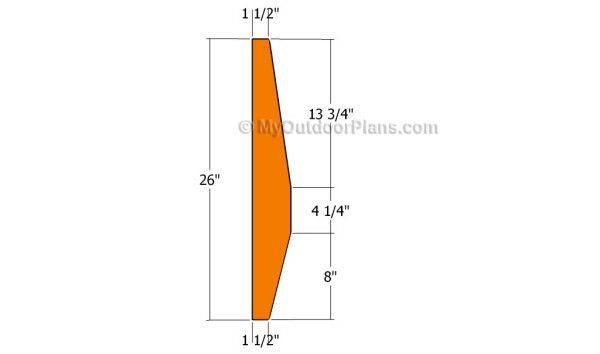 There are many other designs and plans to choose from when building projects for your backyard, so make sure you take a close look over the related plans that are featured on our site. There are many plans and designs to choose from, so make sure you take a close look over the rest of the table plans featured on our website. 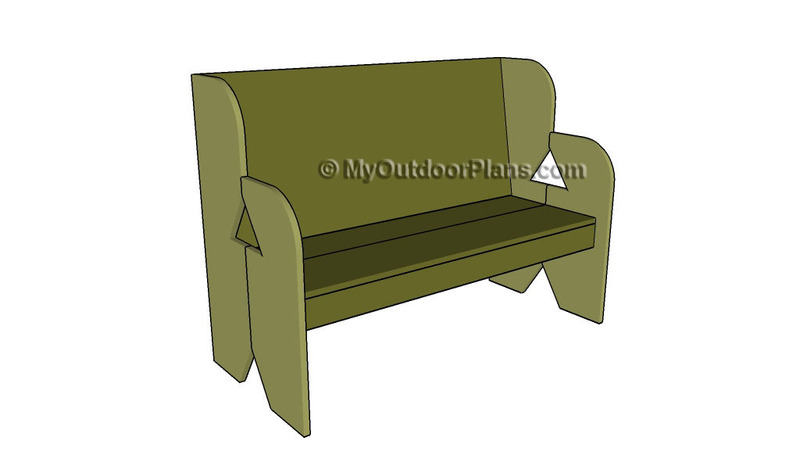 Plan everything with attention and adjust the size and the shape of the bench to suit your needs. Plumb the legs and make sure the corners are right-angled before inserting the galvanized screws into place. Drill pilot or pocket holes to prevent the wood from splitting. 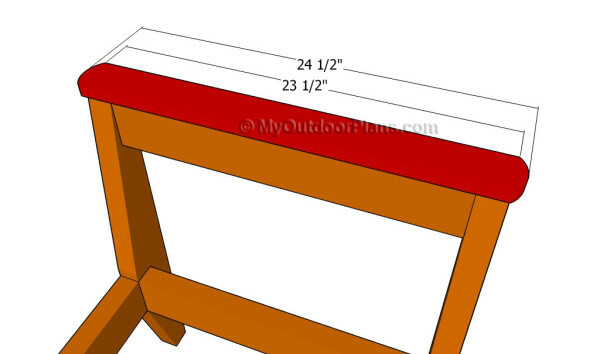 The first step of the woodworking project is to build the legs of the bench. In order to get the job done in a professional manner, we recommend you to build the legs out of 2×4 lumber. Mark the cut lines on the slats and get the job done with a circular saw. Smooth the edges with fine-grit sandpaper and remove the residues with a vacuum cleaner. It is essential to make all the four legs in the same manner, otherwise the end result won’t be professional. 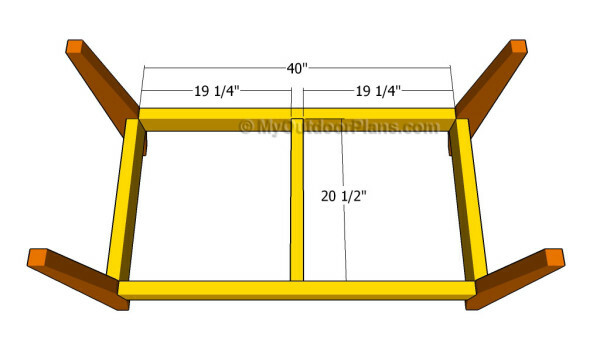 The next step of the woodworking project is to build the frame of the wooden bench. Cut the 2×4 slats at the right size and lock them to the legs with 2 1/2″ screws. Drill pocket holes at both ends of the components before inserting the screws. Top Tip: Make sure the corners are right-angled before inserting the screws and add waterproof glue to create a rigid structure. Place a spirit level to make sure the supports are horizontal. 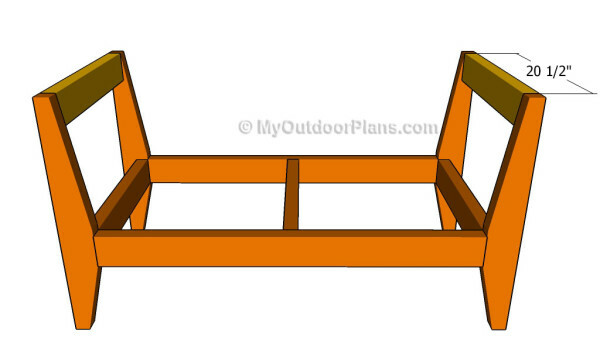 Continue the project by fitting the 2×4 supports to the top of the bench frame. Drill pocket holes at both ends of the supports and secure them to the legs using 2 1/2″ screws. Build the armrests out of 1×3 slats and make sure the ends are cut in a decorative manner. Use a nice jigsaw to make the curved cuts and smooth the edges with sandpaper. Drill pocket holes through the supports and insert 1 1/4″ screws into the armrests. Add glue to create rigid joints. 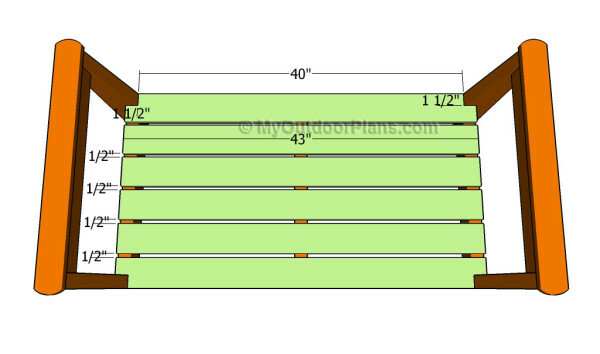 In order to get the job done in a professional manner, we recommend you to attach the 1×4 slats to the frame, as shown in the image. Cut the notches at both ends of the slats that are fitted around the legs. Drill pilot holes through the slats and secure them to the frame using 1 1/4″ screws. Place the slats equally-spaced if you want to get a symmetrical result. Smooth the edges with sandpaper. Make sure the head of the screws are at the same level with the slats. Top Tip: If you want to enhance the look of the woodworking project and to protect the table from decay, we recommend you to cover the components with paint or stain. 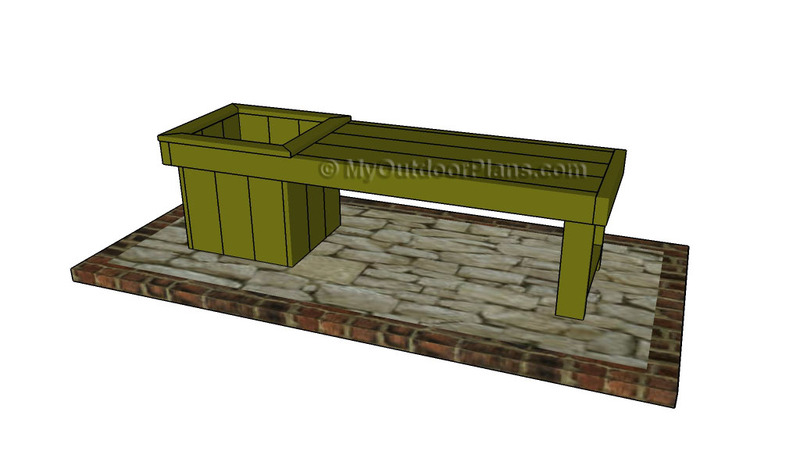 Place the bench in a proper location and move it whenever necessary. 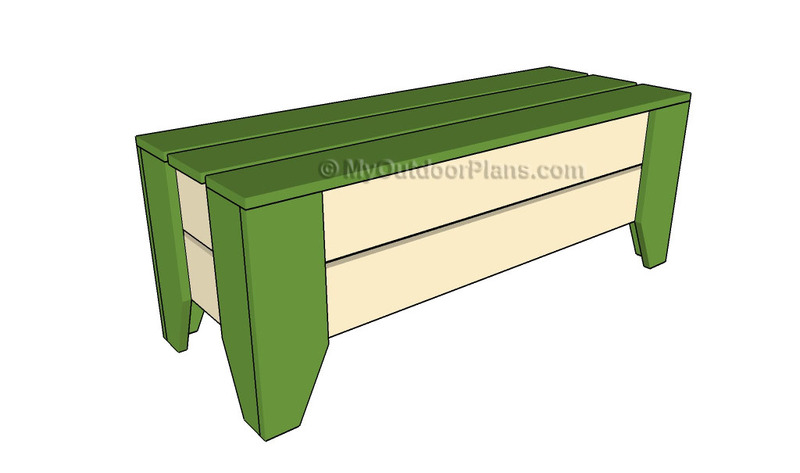 This woodworking project was about bench plans. If you want to see more outdoor plans, we recommend you to check out the rest of our step by step projects. LIKE us on Facebook and Google + to be the first that gets out latest projects. Plans look good, except it seems it is upside down. The seat is only 12.5″ off the ground. Pretty low. Actually it is 13″. You can easily adjust the height of the seat, if you want.